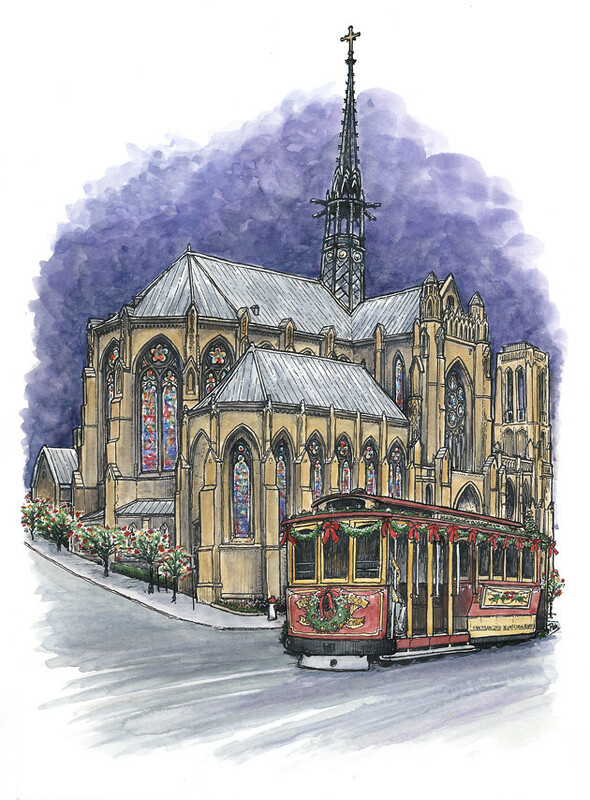 Last year I illustrated the cover of the program for the 2011 Christmas Concert at Grace Cathedral in San Francisco’s Nob Hill. This year I had the honour to be asked once again, for the 2012 shows. 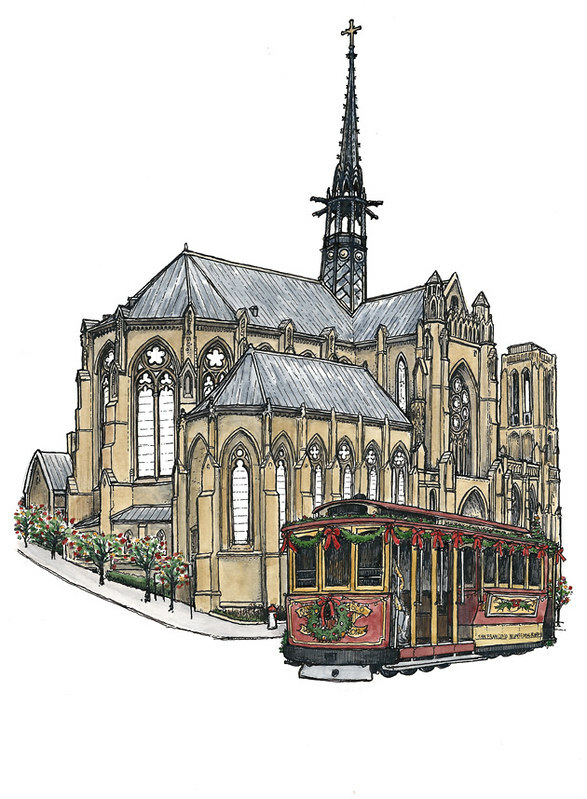 This time I was asked to provide an illustration of the magnificent building from a different angle, that of the impressive choir on the western side. Last weekend, my wife and I went to see the Christmas Concert, a beautiful show, and I will show you the panoramic sketch I made in the next post. 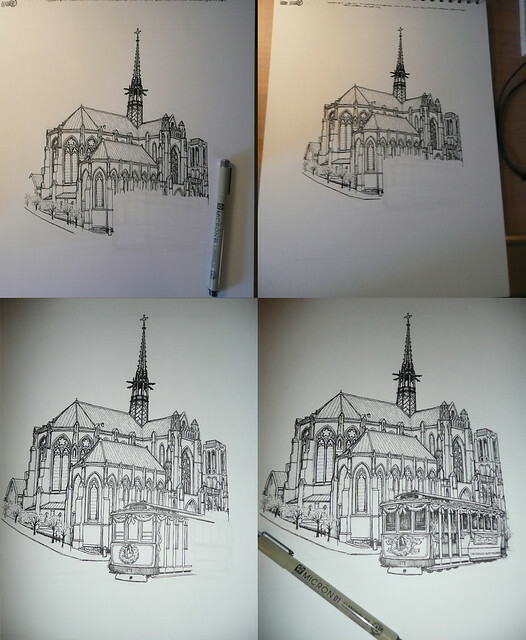 For now though I thought you might like to see a step-by-step of how I drew the cathedral, along with some detailed and highly useful lecture notes. 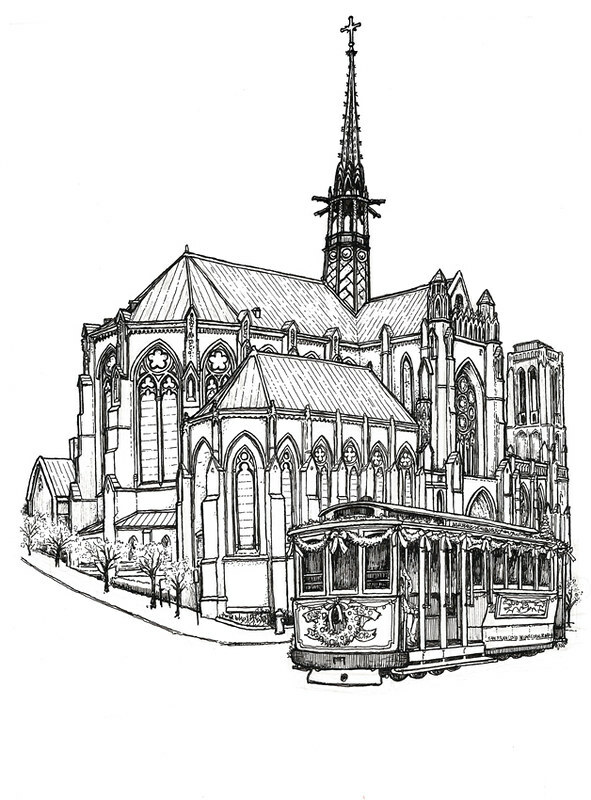 Cathedrals are fantastic to draw. If I could spend my life just drawing cathedrals I would be one happy little (well, medium-sized) Scully. 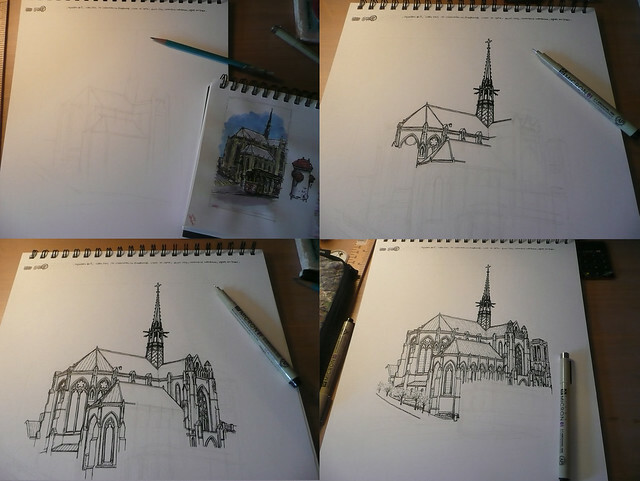 Step One: draw some of the cathedral. Here it is before adding the colour. It’s a good idea to scan it before you add the colour, because you might want to use it for a colouring-in-book, and you may get the colour completely wrong and accidentally paint it green or something. Step Three: add some colour. Colour a little bit at a time. Then colour some other bits. Always paint the sky last, for no reason whatsoever. 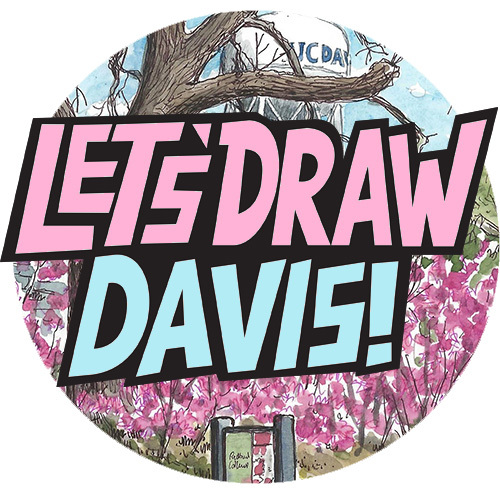 Scan it halfway through so you can say, I like it like that.